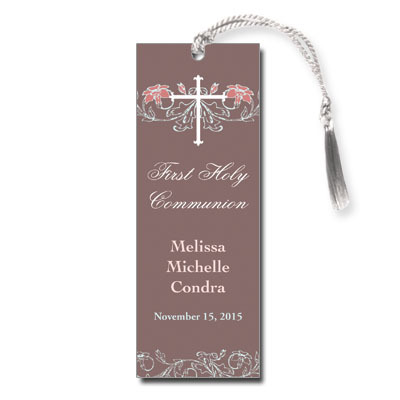 Shades of dusty rose, teal, and white make a sophisticated combination in this Communion bookmark. A silver jewel rests atop a white cross for added elegance. Measures 2in x 5.5in and comes with white satin tassels; light assembly required.